Heavy duty flail mower mounted on a 3-point linkage. Flail mowers equipped with hammer blades are a great choice for mowing meadows, roadsides and other not so well kept lawns. 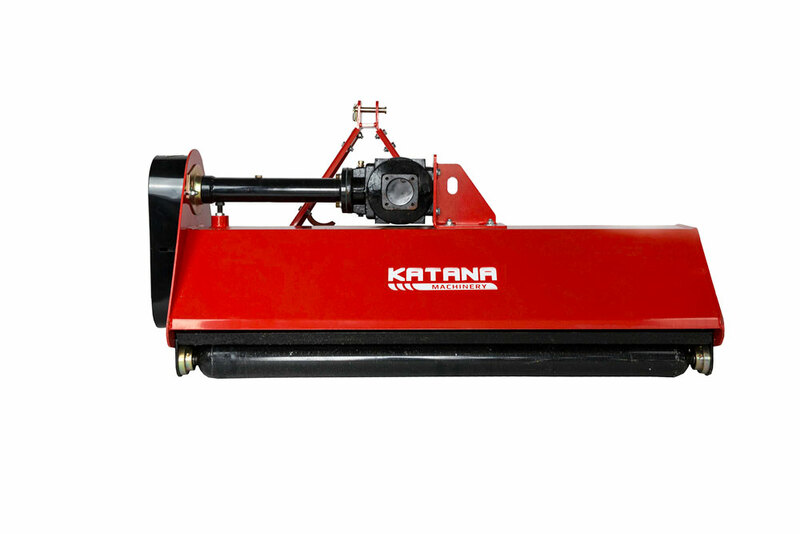 Heavy duty version of the mower is equipped with heavier blades and stronger gearbox. Hammers of this mower deal well not only with high grass, small bushes or brushes but also small trees and thin branches. The plants are first cut and then mulched by fast moving blades. Small clippings of mulched grass left on the ground dry out fast and act as a fertilizer for grass. Flail mowers are more universal than finishing mowers, working better on uneven surfaces and mulching much more than only grass. It is also much easier to operate the tractor equipped with flail mower because it’s hanging close to the end of the machine. Another advantage of a flail mower is safety. Thanks to a closed case construction there is a small chance of stones or debris ejected by the mower. 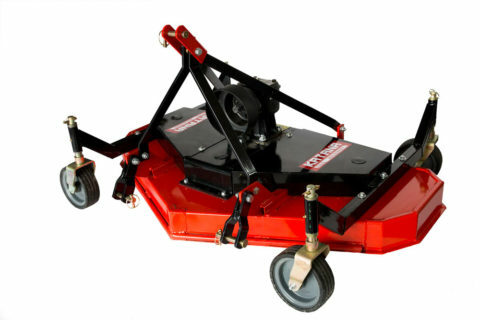 That is why flail mowers are very often used by municipal and maintenance companies mowing ground in urban areas. 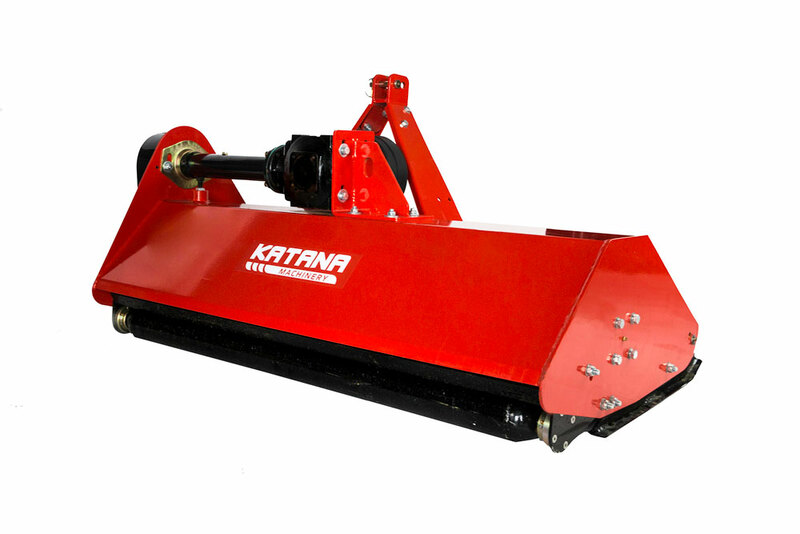 Loose mounting of blades decreases the risk of damage when flail mower’s blade hits a stone or debris. 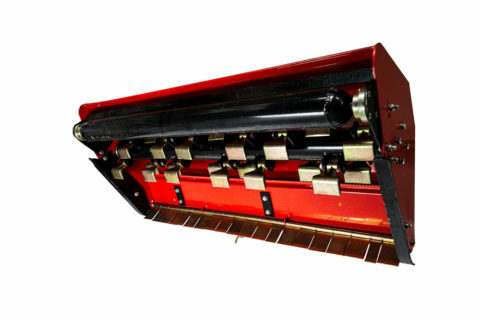 The rotor shaft and PTO shaft are connected with powering rubber belts which would start slipping if the rotor shaft was blocked by a big or heavy object. And the 3-point linkage frame can be shifted between 2 positions allowing additional offset of the mower on one side of the tractor. Closed case construction preventing ejection of stones and other objects. Perfect choice for New Holland Boomer 40-55 and 3040-4060 tractors as well as Ford tractors with 35-55 HP. Price for mower + PTO shaft = 1479 EUR incl. VAT. YOU GET A PTO SHAFT WORTH 100€ FOR FREE.